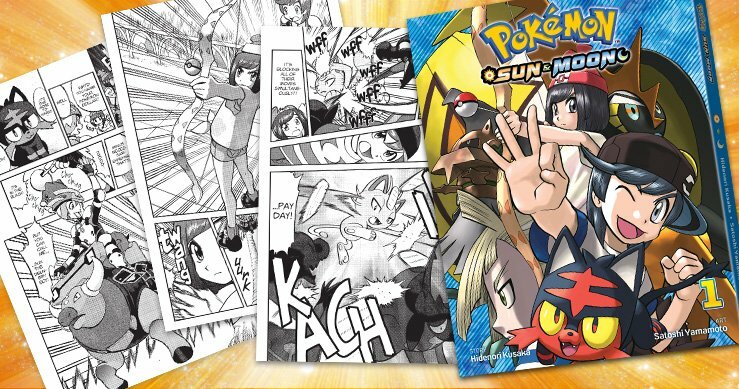 The Pokémon Company and VIZ Media have announced that Pokémon: Sun and Moon Vol. 1 is now available, the next chapter in the long-running manga based on the pocket monster series. This has been headed up by writer Hidenori Kusaka and artist Satoshi Yamamoto, and, for those interested in reading it, the manga follows a Pokémon Trainer called Moon in an adventure that is different from that seen in the video games and animated series. It starts with Moon on her way to deliver a rare Pokémon to Professor Kukui in the Alola region, and, on the way, she bumps into Sun, a delivery boy who has been given a special Pokédex. They both set off for the professor’s lab, but Team Skull grunts soon turn up but are attacked by a mysterious Pokémon. When it leaves behind a sparkling stone, it’s clear that this is only the beginning of their adventures together. The 80-page Pokémon: Sun And Moon Vol. 1 is now available, with the second volume to arrive in September 2018.